The Christmas 4 Kids Tour Bus Show features buses from some of today’s top artists, whose drivers graciously open their doors. For a small donation, fans can see what the artists’ home-away-from-home is really like. The best part is you never know who you’re going to meet! 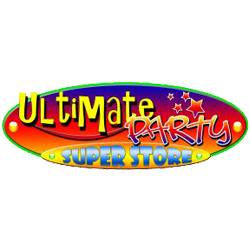 We will have 20-30 recording artists there to meet fans and sign autographs. Past artists have included Gretchen Wilson, Chris Young, Taylor Swift, Wynonna and Naomi Judd, Trace Adkins, Trisha Yearwood, Darryl Worley, Jeff Bates, and Larry-The Cable Guy. It’s a fun evening for everyone 1 to 100! Come join us! About Christmas4Kids: “Christmas 4 Kids (a division of Christmas For Kids, Inc.) is a 501(c)-3 Non-Profit Organization that was created in 1982, originally called Christmas Caravan. In 1992, we incorporated and changed our name to Christmas For Kids, Inc. For over twenty years, Christmas 4 Kids has given the joy of Christmas to thousands of Middle Tennessee children that might not otherwise experience it. 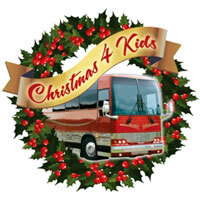 Each December, local businesses, volunteers, celebrities, recording artists, and their bus drivers set aside two days from their busy schedules for these special children.” For more information, visit www.Christmas4Kids.org. Are you the master Gingerbread House builder and decorator among your family and throughout your social circles? Then this is one event you don’t want to miss! Put your creative talents to good use during the 10th Annual Gingerbread Competition at Bluegrass Yacht and Country Club and claim your title! Gingerbread Houses will be presented during the St. Nicholas Ball where they will be auctioned off.